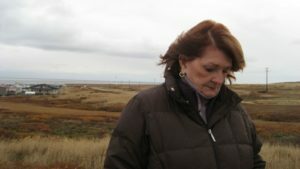 Betty Ann Bowser was a pioneer as a female correspondent in television news and for many years, a longtime correspondent at the PBS NewsHour, where she covered hundreds of stories including the Oklahoma City bombing, life in New Orleans after Hurricane Katrina and the debate over Obamacare. She died on Friday after contracting pneumonia while she was living in Mexico. She was 73. It’s impossible to capture all that made Betty Ann unique here. But several current and former members of our staff remembered her today as a reporter known for being tough and fearless, dogged and gritty, funny, and occasionally a bit outrageous. Several current and former members of our staff remembered her today as a reporter known for being tough and fearless, dogged and gritty, funny, and occasionally a bit outrageous. Betty Ann began her career in the Hampton Roads area of Virginia in 1966 at a local television station, WAVY. 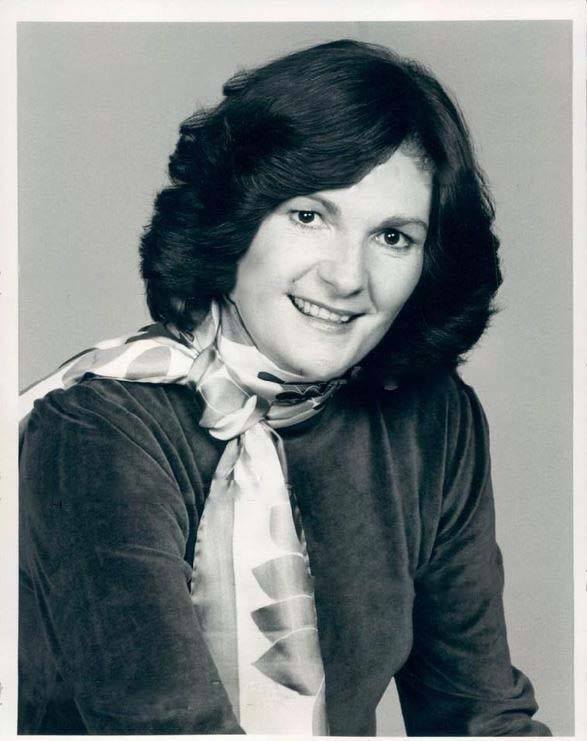 By the early 1970s, she was one of only two women working in the newsroom at WTAR where she became a co-anchor. In 1974, she went to CBS News, where she covered famine in Africa and troubles in the Middle East. She also was the co-anchor of 30 Minutes, a news magazine program that won four Emmys as well as DuPont and Peabody awards. She relished working for Walter Cronkite at CBS News. She sometimes told the story of what she saw as her breakthrough there. As Betty Ann told it, she was in California shortly after President Richard Nixon resigned, when she and her cameraman decided to take a chance and check out the golf course near Nixon’s house. They found him there, and Betty Ann got one of the first post-resignation sound bites from Mr. Nixon. Walter Cronkite called to congratulate her that night, and as she put it, her career at CBS took off from there. In 1986, she started working with the NewsHour as a general assignment correspondent, reporting on major domestic stories, such as the Oklahoma City bombings. One of her producers at the time, Terry Rubin, remembers how Betty Ann filed story after story for days after the attack, and how she captured the community’s suffering when she attended a Sunday church service just blocks away from the attack at a church that itself had suffered major damage. 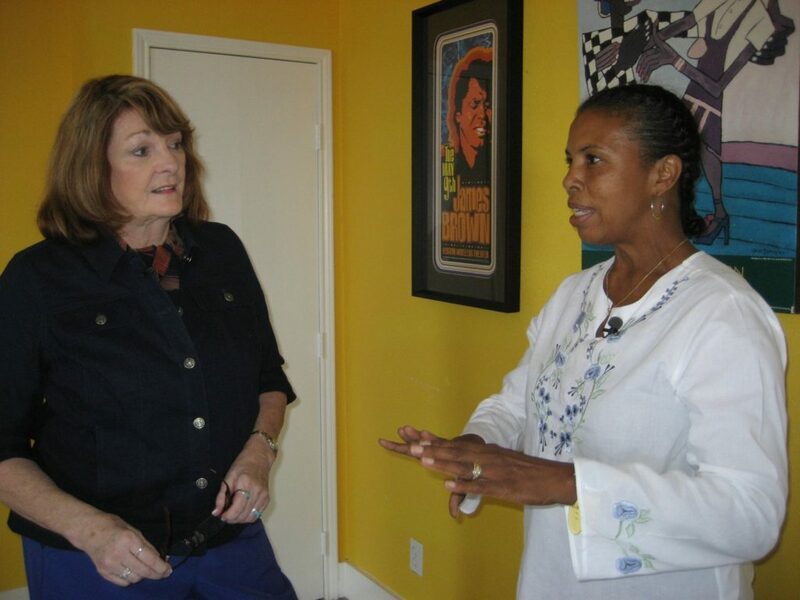 Betty Ann Bowser speaks to coffeehouse owner Sharon Gillins in Galveston, Texas September 8, 2011. Photo by Sarah Clune Hartman. “She had the incredible ability to endear herself to people, and they let her into their homes from the moments after the bombing to years later when she would follow up with them,” Rubin said. Around the office, we often referred to her as BA (as she sometimes referred to herself). Informality was part of her deal in the field as well. Whether she was in Oklahoma or New York after the 9/11 attacks or capturing what happened to people in New Orleans after Hurricane Katrina and the rupture of the levees, Betty Ann’s ability to connect to the people she met was a constant. She would return to New Orleans several times after Katrina. Betty Ann was especially proud of the work she did on why the levees failed after Katrina hit, including the tough questions she asked of the U.S. Army Corps of Engineers. Notably, she was among the first generation of female broadcasters. Her approach, her grit and her willingness to tackle any kind of story was not lost on a younger generation. It was after her trips to New Orleans that Betty Ann began facing more of her own struggles as well. Her personal health declined after a series of respiratory problems, some of which landed her in the hospital for weeks at a time. She lost much of her hearing and sought eventually to raise her own voice about the difficulties people with hearing loss faced. It began to weigh on her more and more. But the work motivated her. When she became health correspondent during the never-ending battles around Obamacare, she relished the challenge. Health Producer Jason Kane was an essential member of the team throughout those years. “She always said that getting to travel around and meet regular, everyday people was the best thing, that she was really lucky to be able to call that a job,” said Sarah Clune Hartman, a producer on the health unit for several years. The list of other stories she covered over the years — ranging from the environment to economic development (including an interview with President Donald Trump long before anyone saw him as a presidential candidate) to veterans care to medical breakthroughs — is far too long to list here. Betty Ann left the program as her health worsened, and she would eventually retire in Mexico. She is survived by her two sons, Patrick and Matthew. Left: Betty Ann Bowser prepares for a standup in Tooksook Bay, Alaska October 5, 2011. Photo by Sarah Clune Hartman.